Bryan’s Review of ‘The Master’!!! Paul Thomas Anderson has knocked it out of the park yet again, with his masterfully crafted film, ‘The Master’. I have no doubt people will be talking about this movie for weeks or even months to come. 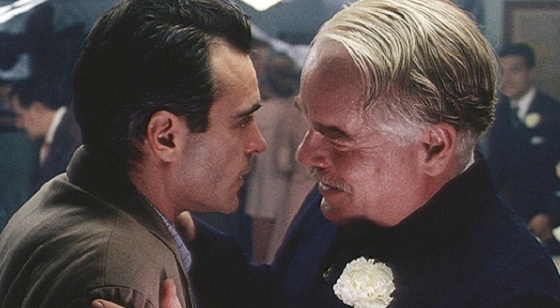 ‘The Master’ is such a complex movie with tons of smart and clever parts to it, that I can’t wait to watch it several more times to catch everything. It’s been five years since Anderson’s ‘There Will Be Blood’, and ‘The Master’ is a great welcome back for Anderson. ‘The Master’ follows Freddie Quell (Joaquin Phoenix), an unstable and somewhat violent recent Navy verteran who is trying to continue his life post war. Quell seems pleasant, but there is always something off about him. Whether it be his propensity to make alcoholic drinks with toxic chemicals for a better high, or his violent meltdowns in public, Quell is looking for his station in life. After Quell is fired from his last remedial job, he is walking by the harbor and sees a big party boat with an elegant party going on. He sneaks on board and meets Lancaster Dodd (Philip Seymour Hoffman), a charming and animated man who is a leader of certain way of life, cult, religion, or whatever you want to call it. Dodd calls it ‘The Cause’ and is strikingly similar to Scientology. I’m sure for many reasons, Anderson and everyone on board did not want to refer to this film as a story on Scientology for fear of their safety or backlash. However, a lot in this film is about the start of Scientology. But more so, about Quell drifting along in his broken life looking for acceptance and love. At first, Dodd calls out Quell on the boat as he knows he is a stowaway, but Quell’s toxic cocktails become a favorite of Dodd’s and therefor Dodd lets Quell stay on board in order to “cure him” of his ways. Dodd even tells Quell that he has …”strayed from the proper path.” We see Quell attend “recording” sessions with Dodd, where Dodd questions Quell about the most intimate details of his life, often repeating the same question 20 times to get a truthful answer. This is the same tactic Scientology uses in their “auditing” process. These scenes are quite intense and very fulfilling. Dodd travels around with his large family consisting of his daughter Susan (Ambyr Childers), his new son-in-law Clark (Rami Malek), his fierce wife Mary Sue (Amy Adams), and many others who are the purveyors of Dodd’s word on ‘The Cause’. Dodd tells his people and followers that man is not an animal and that we all have had many lives on Earth before. And with his appropriate training, people can get rid of all their negative impulses and traits. Sounds like Scientology, doesn’t it? We get scene after scene of intense “recording” sessions, awkward and sometimes violent confrontations, and strange visions. One of which has Quell picturing every woman at a party completely naked. Both Dodd and Quell work with each other to further “The Cause” and generally enjoy one another’s company. However, there comes a moment where both men discover what the other truly is. Dodd is a fraud and Quell can only hurt Dodd’s plans for “The Cause”. How is this all related to Scientology? Well, the teachings and activities in this film, mimic that of Scientology. Dodd and L. Ron Hubbard share a lot of similarities in their look, time period, and history. Scientology is never mentioned in the film, but all of the references are there. Plus, Anderson wanted to stick with the very early start of Scientology. This could have been a much juicier film in regards to the whole Scientology aspect, and in my opinion, the religion dodged a big bullet. Phoenix and Hoffman give the performance of a lifetime. This is some of the best acting I’ve seen all year. Phoenix plays such an unbalanced characters so well, it is uncanny. The way his body language is used and the ways his eyes move in an unnerving way is haunting. And Hoffman plays such a charismatic leader, that you want so desperately to be a part of his group, but there is always something unsettling about him and his “Cause”. Hoffman plays Dodd much like Gene Wilder did with Willy Wonka, minus most of the silliness. You can fall in love with Dodd, then immediately be terrified of him, then again quickly fall in love with him. He’s that good. And Adams does a great job as she always does. She plays a warrior of a woman, who is not above calling out people and exiling them out of “The Cause”. I would not want to get on her bad side. Lee Greenwood’s score is just as good as it was in ‘There Will Be Blood’. The spooky music gives this film life. Greenwood must be a huge fan of ‘The Shining’, because a lot of his score resembles the music from that. 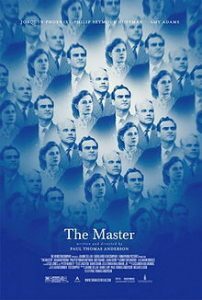 I give ‘The Master’ my highest recommendation. It’s a beautiful film inside and out. This might be one of Anderson’s best shot films. And the acting is some of the best I’ve seen in a long time. Get out and see ‘The Master’, for it will be nominated for all the awards come award season. 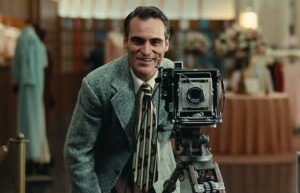 Paul Thomas Anderson’s New Untitled Film Gets Some Producers!!! This entry was posted on Tuesday, September 25th, 2012 at 4:34 pm	and is filed under Film, News. You can follow any responses to this entry through the RSS 2.0 feed. You can skip to the end and leave a response. Pinging is currently not allowed. « Find Out About the Walking Dead Zombie Blood Drive!! !